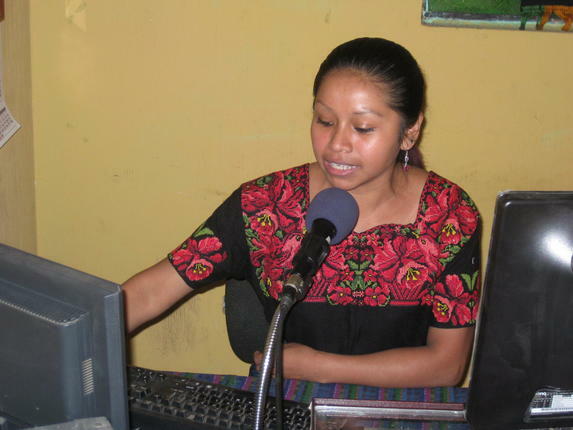 Mam is a Mayan language spoken in Guatemala and Mexico by about 500,000 people. The Guatemala Ministry of Education and WFP have been trained in this language to more than 300 teachers of bilingual schools in the use of textbooks in Mam among students to promote gender equality, food security and nutrition, and other topics. What do these words JUNX B’A’N KYANQ’IB’IL and KYOKLEN Q’A TXIN EX in Mam, one of the 23 officially recognized languages in Guatemala, mean in English? They mean “Nutrition” and “Gender Equality” respectively. “We Will Have A Better Life By Learning Together And Under The Same Conditions” is the title of the textbooks in the Mayan language Mam where both words appear, and many more within a project to promote gender equality, food security and nutrition, and other topics for schools and communities in the department of Huehuetenango where Mam is spoken and written. The World Food Programme (WFP) accompanies the General Directorate of Intercultural Bilingual Education (DIGEBI) of the Ministry of Education of Guatemala on the implementation of the project and is also providing technical assistance to train teachers and design sessions involving staff technician at the provincial level, school principals and teachers. This project, is part of the Gender Innovation Fund and receives financial support from Australia, WFP trained 300 teachers in bilingual primary schools in four municipalities of the department of Huehuetenango in areas such as: the use of new texts in Mam self-esteem, gender equality, food security and nutrition, racism, rights of children, and stages of adolescence. These trainings help reinforce the knowledge of teachers and at the same time creates a space for dialogue to find solutions in our communities,” said Josefina Ajchomajay Ratzan, one of the technicians of the project, which has a target of training over 500 teachers and approximately 3,800 students. So far, more than 12,000 texts in the Mam language have been delivered to about 75 schools. In the opinion of Josefina Ajchomajay, these texts are tools for students to learn and use their native language academically, and to encourage teachers and students develop better skills in gender equity. WFP in collaboration with the Ministry of Health and Welfare (MOH) also provide iron supplements to girls in fifth and sixth grade in order to prevent anemia and neural tube defects. In Huehuetenango, 69% of children suffer from chronic desnutrition. The project also seeks to provide guidance and training of parents in gender equality, shared roles in the care of family and food and nutrition security. Filed Under: CENTRAL AMERICA, FEATURED, WOMEN GENDER EQUITY ISSUES Tagged With: A Celebration of Women, Central America, Central American women, gender, gender equity issues, Guatemala, Mam, Mayan, Mayan language, Mexico, radio, television, violence against women., women.